Under the Sun EP released today! Under the Sun, the first song from our upcoming album ‘Strangers to Reason’ has been released via Night Audit Music today. Check it out and grab your download on our bandcamp page. Now, this is the complete roster of this year’s spring- and summer concerts. For further information go to the live section. We’re proud to be part of this year’s Eschweiler Music Festival. 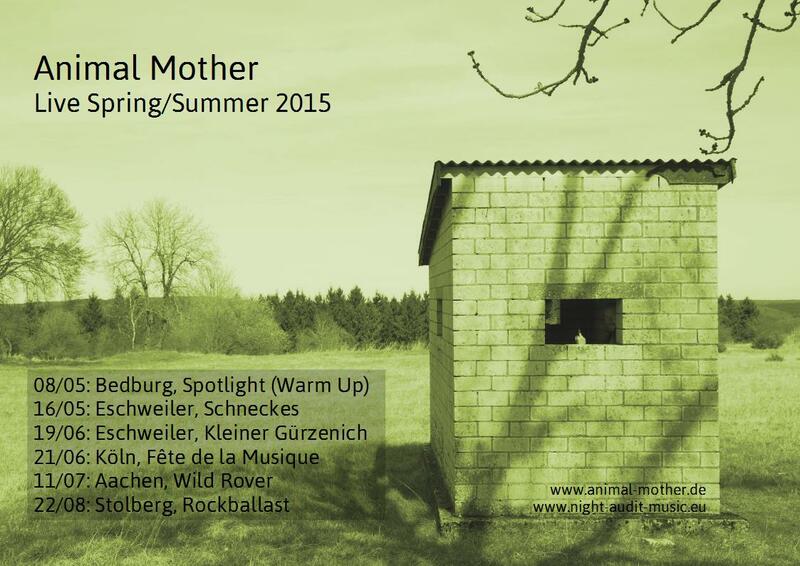 On June 19th we will thus play at Kleiner Gürzenich during the “Kneipenralley”. Furthermore we will play a special warm-up show during Wolfgang Härtel’s wonderful Jamsession at the Spotlight in Bedburg on May 8th. Recently a nice video popped up announcing our gig (and more to come!) at Schneckes, Eschweiler, on May 16th.